The latest track from California based COLOUR VISION aka Corey Hurley is the appropriately titled “PIÑA COLADA“. With a booming kick and a wash of lush, tropical sounds, it’s a song that settles nicely. It feels like a vacation for your ears. There is a supreme balance on this one as it hosts a mix of deep sounds and vibrant highlights. The drums have to be the highlight for me. One thing you cannot go wrong with is a proper mix of congas, steel drums, and a deep kick. Get troppy and grab this one fast. 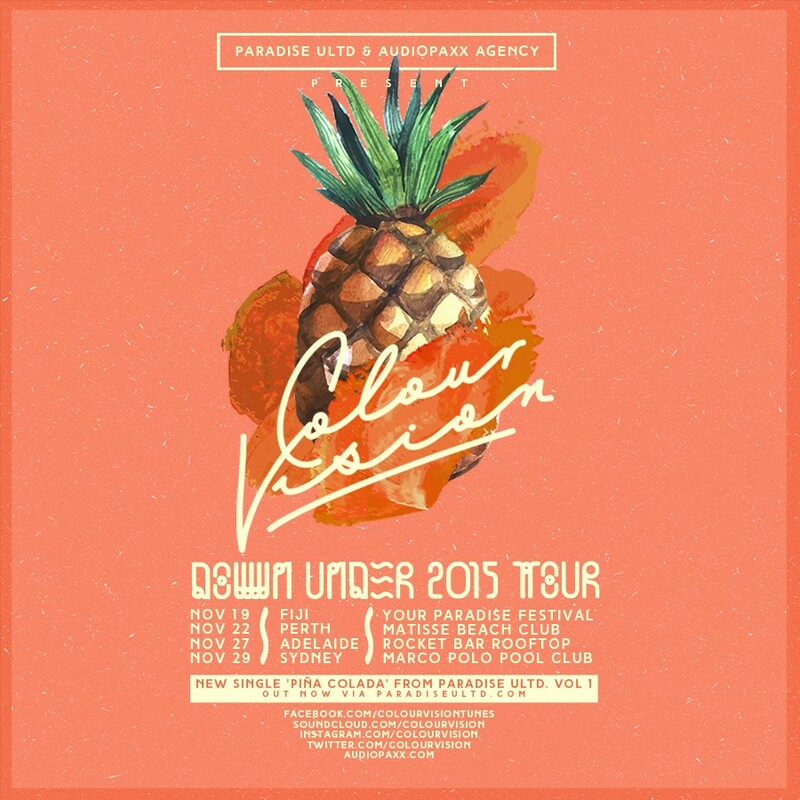 Make sure you catch COLOUR VISION at one of his upcoming Australia/Pacific dates.